I love Mexican food. I love it any time of the day. I love to eat it everyday. It must be the Mexican girl in me, I don't know, but I will never shy away from it. 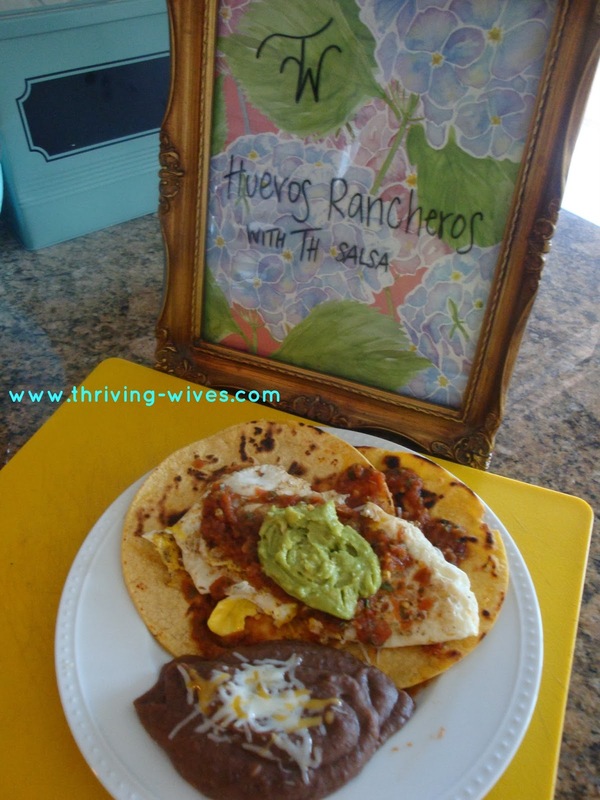 This includes my most favorite breakfast (well, right up there with a breakfast burrito) Huevos Rancheros. I decided it was high time for me to start making this easy dish for myself. 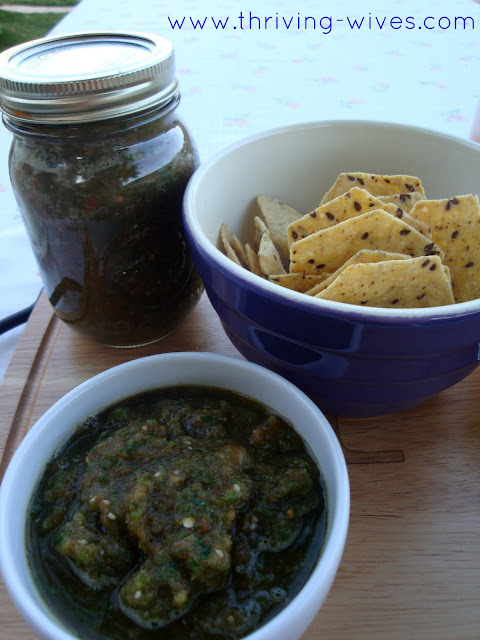 Especially since my TH is obsessed with making his own salsa and we always have a fresh jar on hand. 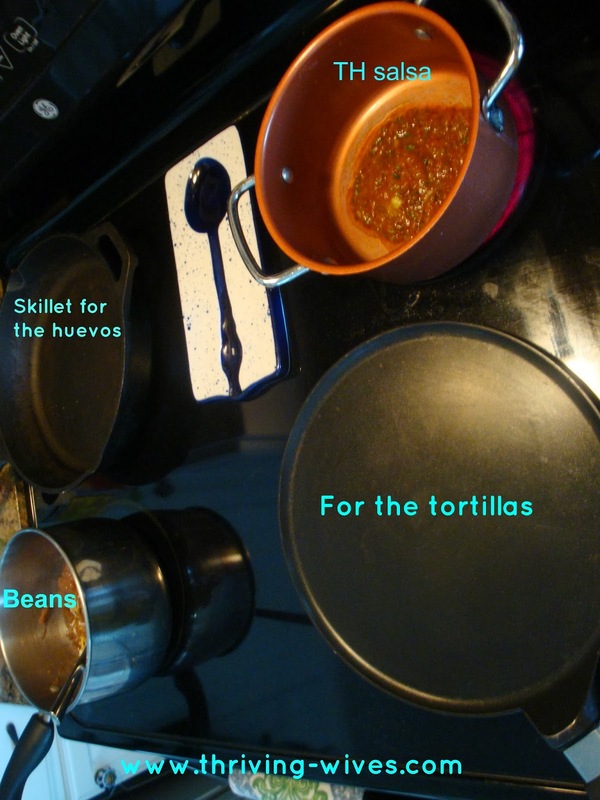 I grabbed my eggs, tortillas and salsa and turned on all my burners. It was time to get things really cooking in mi cocina. 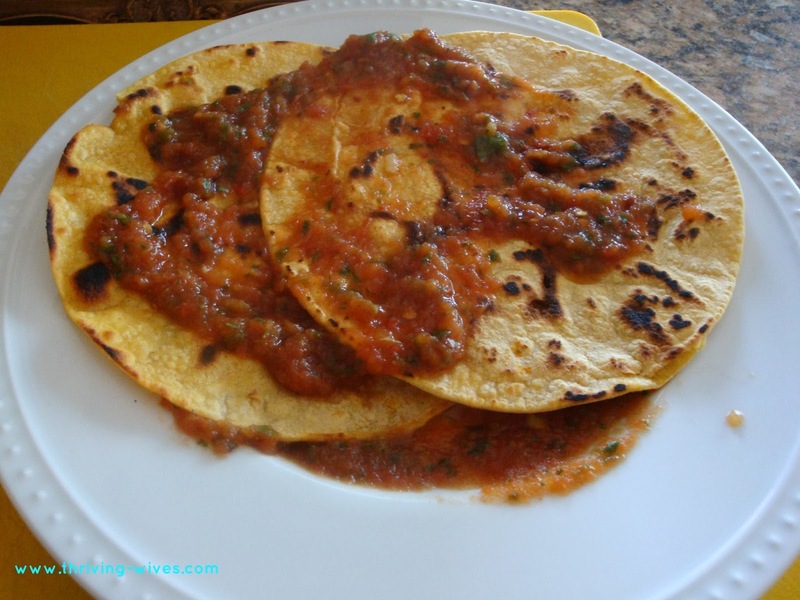 I decided to throw some organic refried beans in the mix and got them cooking on low while I started the tortillas and salsa. 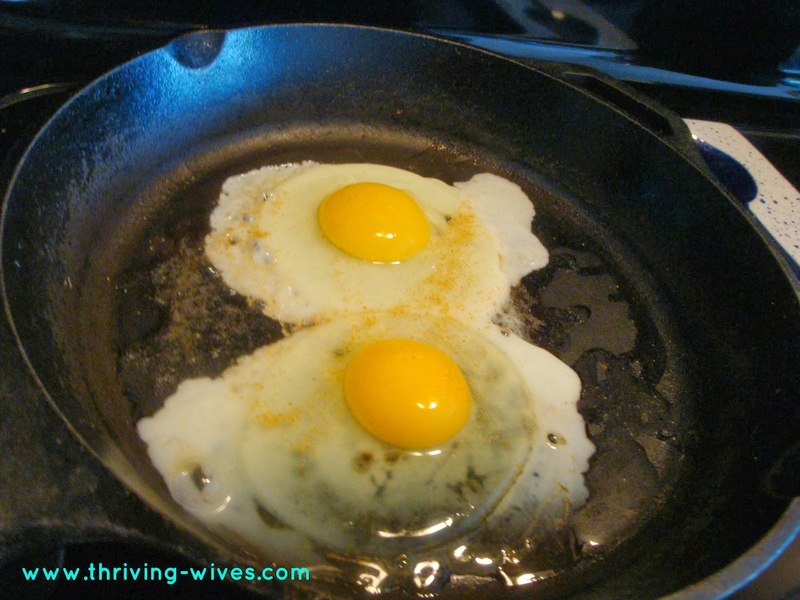 With the salsa heating up and my tortillas nearly done, I threw my eggs into the skillet. I was really trying to get everything timed perfectly so it would all be ready at once. With my eggs going, I took the hot (temperature and spice level) salsa and put a nice little scoop on my plate. 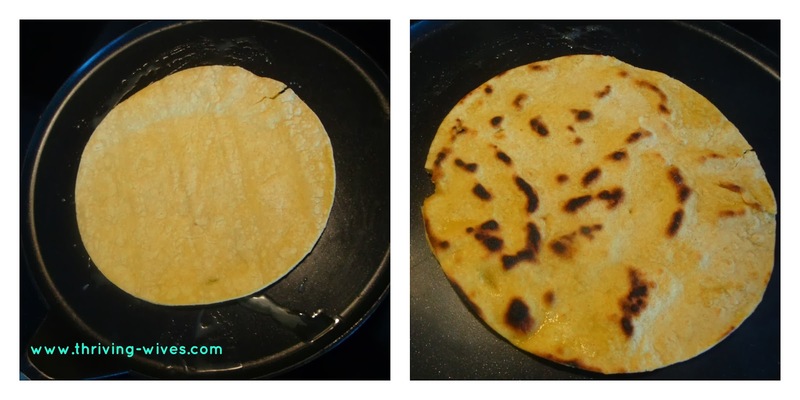 Then I covered with my perfectly cooked corn tortillas. Another layer of salsa (things were seeming very lasagna like at this point) and just as I had hoped, my eggs were ready to be placed. 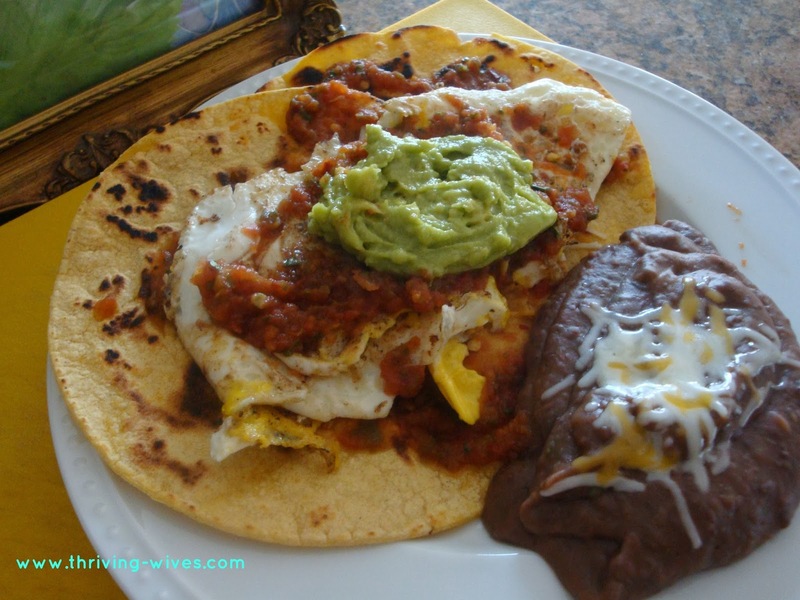 I topped my tortilla salsa heaven with my eggs, added a side of refried beans and a sprinkle of cheese for good measure. With a tiny dollop of guacamole I was ready to eat! Dios mio, it was GOOD! Restaurant style but made at home. It was a perfect protein packed brunch to enjoy after an hour of aggressive power walking. Can't wait to make it again soon, maybe even this weekend! 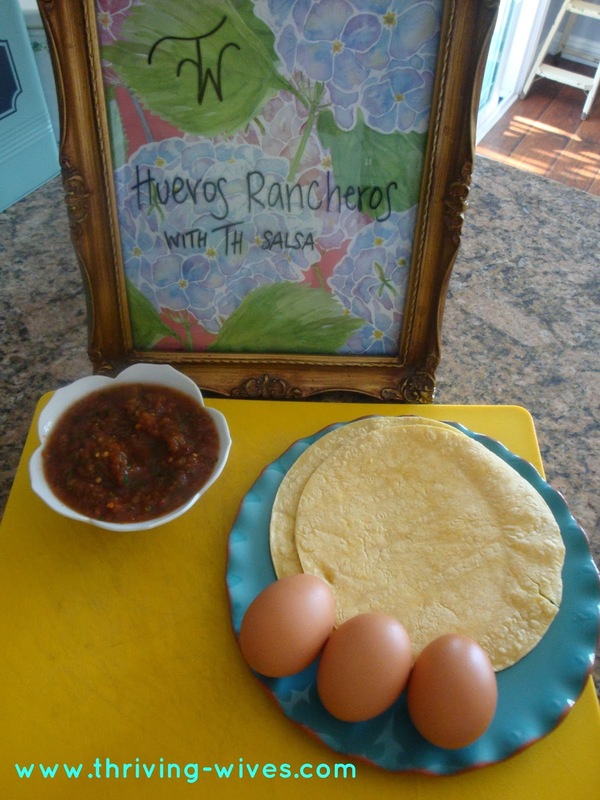 Are you a Huevos Rancheros fan? Have any variations to suggest?